In the Bible we read about the Great Tribulation, a time of trouble and difficulty as never before seen on the earth, leading up to the Millennium. This terrible period is right at the end of time. Satan knows his time is short, and does what he can to persecute God’s people and lead as many as he can astray. His servant, the Antichrist, attempts to do away with God entirely, but God is still almighty, and this is the hour of His judgment. Yet even in this terrible time God repeatedly gives grace for people to repentRepentance is the act of regretting sincerely the sin in your past with the goal to never do it again. It is making a decision to turn away from evil and to serve God. Repentance is one of the requirements for the forgiveness of sins. (Mark 2:17; Luke 15:10; Luke 24:46-47; Acts 3:19; Romans 2:4; 2 Corinthians 7:10; 2 Peter... More and be saved. The term “Great TribulationTribulations or trials refer to any event or situation that comes your way that tempts you to sin; that gives opportunity for sinful thoughts and temptations to rise up in you. The tribulation or trial arises when your mind to serve God struggles against your lusts to sin. It also often refers to difficult situations that test your ability to... More” can cause some confusion because it is not always clear which events people are referring to. In this article we refer to the events of the entire period of tribulation from the beginning of the end times leading up to the Millennium. From the account of events in Revelation 3-19 we can see that the Great Tribulation has three stages. The first stage is marked by the breaking of seven seals in heaven and it culminates in the rapture of the bride of Christ up to heaven and the harlot being cast off of the beast’s back. The second stage is marked by the blowing of seven trumpets in heaven. This is a period where the beast will be in contention with the “second fruits;” those who were not along in the rapture but choose now to serve God. This stage ends in the reaping of the “second fruits” up to heaven and Satan being thrown out of heaven and down to earth. The third stage is God’s outpouring of wrath over Satan, the beast, and the Antichrist and their followers. It is marked by the emptying of seven bowls of wrath over the earth. After this Jesus Christ returns to earth with His followers, marking the end of the Great Tribulation and ushering in the Millennium, a thousand years of peace. Throughout the Great Tribulation there are three spirit powers that are servants of Satan, and contend against the servants of God. They are the harlot, the beast, and the Antichrist. All three of these spirits are already active now, in our day and age. The harlot, also called Babylon, uses religion and is the spirit of false Christianity and false doctrine preached in the world. It is a “commercialization” of Christianity. The harlot tries to mix the Word of God with the spirit in the world to give people what they want. She is called a “harlot” because she is trying to please two masters. Revelation 13 tells about the “beast;” a confederacy of world leaders and nations who blaspheme God. This spirit uses earthlyRefers to everything of this earth, as opposed to heavenly things. Example: Earthly treasures/heavenly treasures. The earthly things pass away (are temporal), but the heavenly things are eternal. (Matthew 6:19-21; Colossians 3:2; 1 John 2:17)... More power to obtain its goal. The beast will make warAlmost all talk of battles and wars when concerning a Christian life refers to the inner battle that arises when a sinful thought tempts you. God’s Spirit and the flesh are at odds. When you have decided to only do God’s will and are being led by the Spirit, a conflict between the flesh and the Spirit arises: there is... More with the saints and will overcome them during the second stage of the Great Tribulation. (Revelation 13:7) We see the beginnings of this development already in the governments of the world today that turn away from God’s laws and mock Christianity, in action if not directly in word. It is becoming less and less acceptable to be a Christian that actually lives for God’s laws. When the beast takes full power after the rapture he will openly condemn Christianity and persecute all who follow God. In Revelation 5 we read about a scroll bound with seven seals. When Christ opens these seals, the Great Tribulation starts. Each seal corresponds to a specific event in the Great Tribulation. After this takes place, Matthew 24:30 tells us that the Son of Man will appear in heaven and all the tribes of the earth will mourn. Jesus will come on the clouds to fetch His bride. This is known as the rapture, but Jesus does not actually return to the earth, so this is not the second coming of Jesus, which takes place later, after God’s wrath has been poured out on the earth. 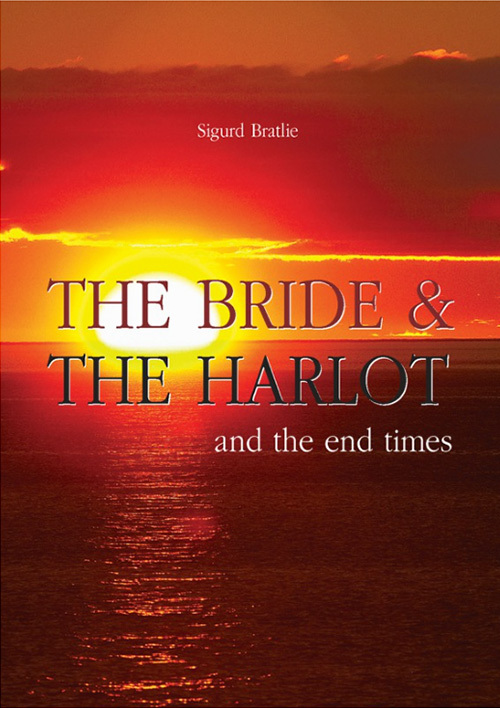 When the bride is raptured then the harlot will also be thrown off the beast’s back. (Revelation 17:16) The beast no longer wants to listen to any form of Christianity or even false Christianity or any form of religion. The seventh and final seal will then be broken. In Revelation 8:2 we see that seven angels are given seven trumpets and in verse 6 they are preparing to sound them. The seven angels mentioned in the breaking of the seventh seal in Revelation 8:6 were given seven trumpets. Each trumpet blown brings a new wave of disaster to the earth. This next stage of the end times is God’s judgment on the earth, but God’s wrath is still mixed with grace, so those who were not along in the rapture can still turn to God and get grace. These will not be counted in the firstfruits, the bride of ChristThe bride of Christ are all those who have purified themselves as He is pure and have been conformed to His image. (Romans 8:29) They cleanse and purify themselves of all sin and are true followers of Christ. The Bride is another term for the church of Christ.... More, but will have the opportunity to repent and become martyrs for their faith. These are the “second fruits” of God’s harvest. He will try to force everyone to take the mark of the beast (Revelation 13:16-17) which shows that the bearer has rejected God and worships the beast. Without this mark nobody will be able to buy or sell. The seventh trumpet is then sounded and loud voices in heaven cry out “The kingdoms of this world have become the kingdoms of our Lord and of His Christ, and He shall reign forever and ever!” (Revelation 11:15) It is clear now that everyone who has accepted Jesus as their Lord and Saviour will be in heaven. This includes the bride of Christ, the martyrs, and the heroes of the Old Covenant. All of God’s different servants will now be gone from the earth and gathered in heaven. Now that God has gathered all His servants from the earth and placed them in heaven there is no place for Satan and his evil hosts anymore. They are banished to the earth with all those sinners who refused to repent time and time again. Now God is in a position to empty out His wrath and judgment over the earth, against the beast and all those who have worshiped the beast. The emptying of the sixth bowl causes the river Euphrates to dry up to prepare the way for armies from the East. The beast and the Antichrist begin to gather their armies together at the place in Israel called Armageddon, in preparation for war with God and His people, the Jews in Israel. (Revelation 16:12-16, Ezekiel 38 and 39) They will war against Israel and they will seem to be winning. (Micah 4:11) Jerusalem and the Jews are under tremendous pressure as it appears that the Antichrist and his armies are victorious. Now God’s wrath has been poured over the earth. This is the moment for Christ to come down from heaven, seated on a white horse with the armies of heaven behind Him. The armies of the beast and the Antichrist cannot stand before Him. They are defeated once and for all and He delivers the Jews who were in great distress. Then their eyes will be opened and they will realize that the promised Messiah is Jesus Christ whom they crucified, and repent. (Revelation 19:11-21, Zechariah 12:8-11) The Antichrist and the beast are cast alive into the lake of fire for eternity and Satan is bound for a thousand years. (Revelation 20:1-3) Thus begins the Millennium, a thousand years of peace. We can see that at each stage of the end times God gives new opportunities for people to repent and come to Him. But the glory and the reward given will vary significantly. How stupid and proud it would be to ignore God’s grace when it is given and then to have to suffer through the Great Tribulation and try to squeeze into heaven at the last second before the end. God has given us this time of grace now so that we can be along in the bride of Christ – the firstfruits, and those who will receive the greatest reward in heaven! Think about it: not only is the bride spared from the horrible events when God’s bowls of wrath are poured out, but she is also given the greatest reward in heaven! An eternity at the side of Jesus Christ, her Lord and Savior! Are you responding to God’s call in your heart? Are you preparing yourself to be Jesus’ bride? Are you making use of the time, or is God’s grace in vain? Now is the time of grace. Now is the time when God can and will help you! You may be interested in reading more in our series about the end times. What does the Bible say about the beast? Find out who “the beast” mentioned in Revelation 13 is and what significance it has in the end times.